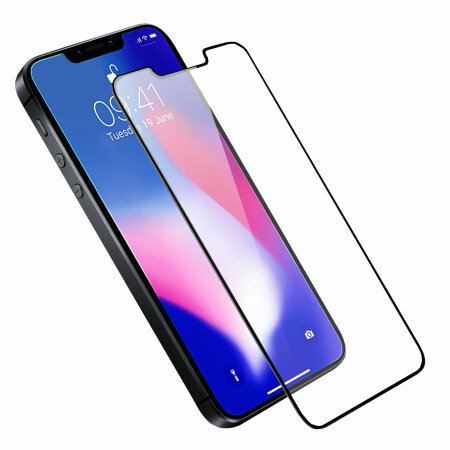 Keep your iPhone SE 2018's screen in pristine condition with this Olixar Tempered Glass screen protector, designed to cover and protect the maximum possible area of the phone's display and fascia. The Olixar tempered glass screen protector is made from a reinforced tempered glass with an impressive 9H rating, maintaining image clarity while protecting your phone's screen from scratches and external shock. Using glass, the Olixar tempered glass screen protector with its impressive surface hardness and only 0.33mm thickness is ready for your daily routine - taking care of your phone's display and maintaining its superb visual qualities. This ingenious solution to protecting your SE 2018's screen involves a 0.33mm thick tempered glass protector that covers even the edges of the curved screen. The underside of the screen protector sits flat on the screen and follows the contours of your phone's screen perfectly. This covers the entire screen and offers complete protection. The Olixar range of screen protectors are designed to keep your iPhone SE 2018's screen clear from scratches and scrapes that could hamper your visibility. By creating a tough barrier between your screen and the world, any damage will be done to the screen protector and not the phone, keeping your device looking good as new.